The Grade II listed White Hart is one of the most important buildings in Merton and stands prominently at the heart of Cricket Green Conservation Area. It includes a large area of land to the rear which is the focus of plans for a new block of flats. We have welcome the proposals to restore and re-open the White Hart and demolish the modern extension to its rear. Unfortunately the new building proposed as part of the development is less sympathetic. The architects drawing clearly show it will be visible above the roofline of the White Hart in the key approach along Cricket Green to the south. Worryingly, there is no information provided on the impact on Lower Green West. The design of the new flats also doesn’t do justice the the location and the proposed beer garden will spend most of its time in shade. 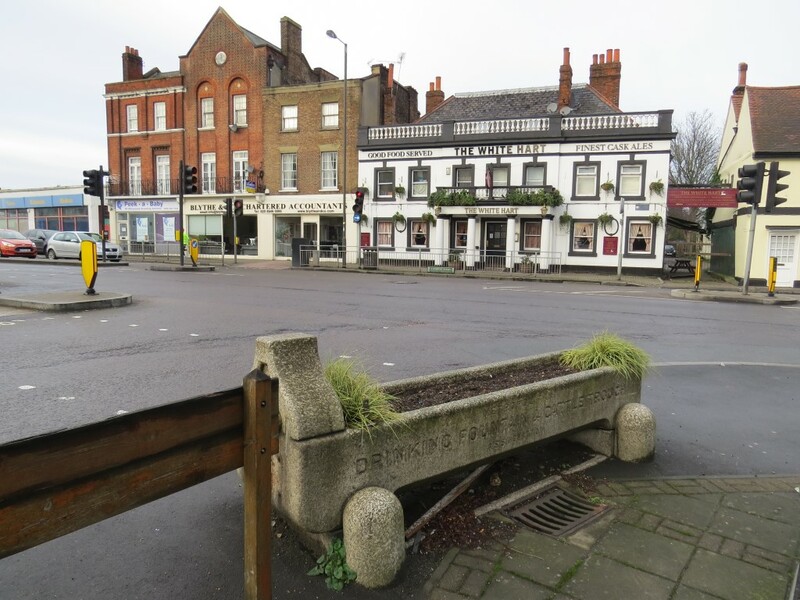 An opportunity has been missed to service the White Hart from the rear and avoid delivery lorries adding to the congestion and road safety problems at Jubilee Corner. As a consequence we have objected to the plans (see here) and invited the developers to collaborate on an alternative. We would welcome well designed residential development which funds restoration of the White Hart and avoids damage to the Conservation Area. This entry was posted in Cricket Green Conservation Area, Planning Applications, Submissions and tagged Planning Applications, White Hart on December 23, 2018 by mitchamcricketgreen. We have welcomed plans to separate the Grade II listed Wandle House from the 1960s office block it has been linked for over 50 years. Wandle House is an important part of Mitcham’s story with links to the assemblage of historic buildings by the ford across the Wandle by Bishopsford Road. The planned development is an all too rare example of a scheme which will improve the Conservation Area for the Wandle Valley. There are also opportunities to improve the landscaping and reduce the large area of hard standing and car park. We are also alert to the possibility of the office block being converted to flats following the precedents of Justin Plaza and Brook House. This entry was posted in Planning Applications on December 7, 2018 by mitchamcricketgreen. Merton Council has submitted an application to itself to install a memorial stone at Lower Green West war memorial. We secured national listing for the war memorial last year. The memorial stone will recognise William White, Mitcham’s only Victoria Cross holder from World War I and it will be set flush to the ground immediately in front of the war memorial. 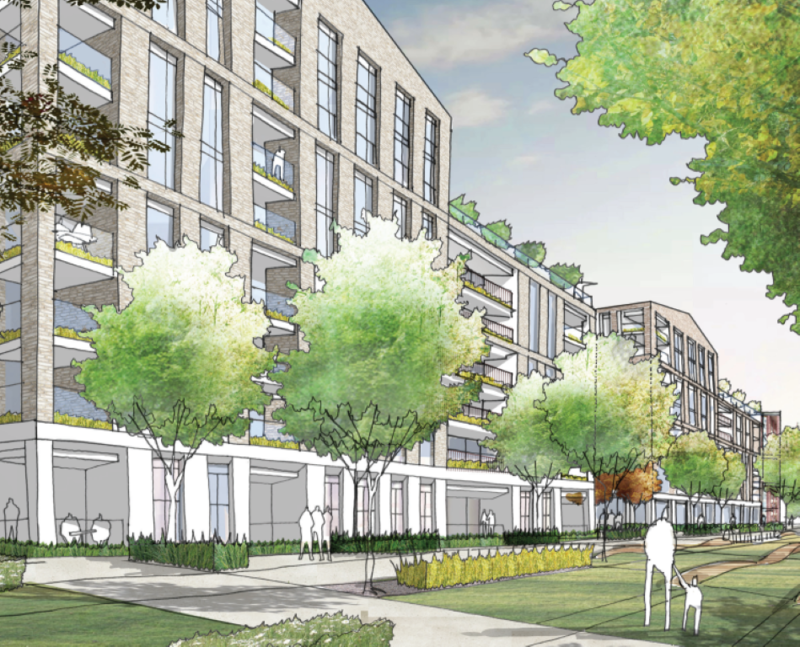 Remarkably, Merton Council had to declare its own application invalid for failing to provide key information and a site plan. We have welcomed the plans and ask that they are supported by a method statement that sets out how the sensitive installation should be managed and that there are long term guarantees that the stone will be maintained. This entry was posted in Cricket Green Conservation Area, Planning Applications on December 4, 2018 by mitchamcricketgreen.